Rent affordable charter buses, school buses, mini buses, shuttle buses, party buses, and limousines in Seattle, WA. Serving home to major companies such as Microsoft and Amazon, the Emerald City, with all its beauty, has been a great place for bus trips. 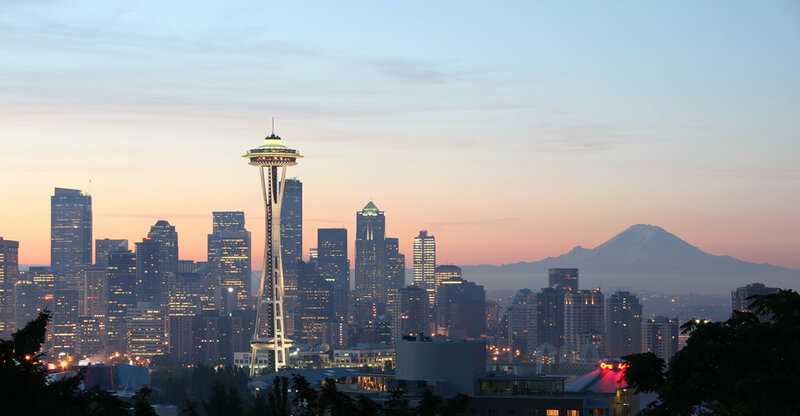 With an overwhelming line up of spectacular tourist attractions such as the Space Needle, Museum of Flight and Waterfront Park, Seattle is becoming one of the most desirable travel destinations. In fact, we cover all of Seattle with buses to cater to the massive numbers of visitors that gather in the city all year round. It is complete with entertainment, family fun and other exciting activities that will surely give you a meaningful travel experience. Get started with your bus rental by filling out the form below for a free quote!